BlazingTools.com - Perfect Keylogger monitoring software. The best key logging and chat recording spy software for parents and spouses! Welcome to the Homepage of BlazingTools Software team! We appreciate your interest in our products. You can add us to your Favorites, if you want. The Software for PC and Internet surveillance is very popular now. Perfect Keylogger is a powerful and easy to use spy software solution for PC surveillance. Do you want to know what your loved ones or spouse or kids are doing on the computer? Are they working or playing? Maybe they are chatting online with dangerous people? Are you concerned about pornographic websites and other unsuitable materials such as drugs or sexually explicit products? Do you want to protect your children from potential pedophiles? Are you wondering if your mate is planning a divorce? Perfect Keylogger is intended to help you in these kind of situations. It can show you exactly what is being done on the computer at any time. Install our stealthy Perfect Keylogger and discover the truth... It sure beats tarot cards and a crystal ball! If you require assistance, we will help you by email or phone. A note to potential customers: only 4 similar products on the market do what the Perfect Keylogger does - and those other products cost between $60 and $150 and are not user-friendly. Don't make the mistake of assuming that a more expensive product is better. Perfect Keylogger for Mac is the best keylogger for Apple computers (MacBook, MacBook Air/Pro, iMac, Mac Mini etc) with remote monitoring support. It invisibly records ALL keystrokes, captures both ways of chats, screenshots, websites and can send all logs back to you by email or FTP. We offer the best price and quality on the market! This software will be useful for concerned parents or spouses. All recent macOS versions, including Mountain Lion, Mavericks, Yosemite, El Capitan, Sierra, High Sierra and Mojave are supported. Secure Office .NET is an affordable and compact monitoring solution, designed for local networks. With this program, you can install a stealth monitoring module on every network computer and to collect all recorded users' activity recorded on the Administrator's PC. The web-based Log Viewer lets you to review the logs from any network computer. With Secure Office .NET software you will always know, what your employees are doing on their PCs. You will be able to find out the information leakages and other threats of the business. Our team of professionals create monitoring and surveillance software. As a result, we are able to produce this high quality anti-spyware solution. Keylogger Detector uses the unique method of finding keystroke recording programs, so you don't have to download the regular updates of the spyware database to run it. 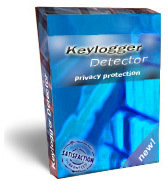 Keylogger Detector will find and remove any keylogging programs on your system. It also contains features to show you exactly what was found, and gives you the option to remove the spyware from your system. Even if you use surveillance software, you must be sure that your spouse, buddy or employer are not spying on you! Install Keylogger Detector and don't worry that unauthorized monitoring software will be installed without your knowledge! Everyone knows that the best way to learn how to make professional looking sites is by looking at other sites and learning how they were done. With our unique plugin for Microsoft Internet Explorer, you'll be able to look under the hood of any site instantly by moving the cursor, and edit the HTML directly in the browser! One word or the whole page - put the cursor on what you are interested in, and see the HTML instantly! See a nice effect on a page - put the cursor and see how it was created. Searching for a tool which makes your typing faster, safer and more productive? With Smart Type Assistant it's so easy! 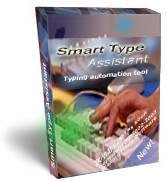 Smart Type Assistant is an advanced automation tool for all Windows operating systems. It includes many features to help you in your work - your personal automatic diary, extended clipboard, spell checking, correction of accidental usage of the Caps Lock, automatic capitalization of names of days, keyboard scoring and other. All features are system-wide and work in every application. September 2017 - Windows version of Perfect Keylogger is now optimized for Windows 10 Creators Update 2017, added better support for hi-res screens and touch screens. October 2011 - Perfect Keylogger for Mac - new version for OS X Lion with new features! July 2011 - new updates to our key logging software. Instant Source and Smart Type Assistant tools become freeware! February 26, 2010 - Perfect Keylogger for Macintosh is updated to support more web browsers and email services. October 28, 2009 - our Mac Keylogger is updated to v.1.78 with multiple improvements in the Log Viewer. September 13, 2009 - All our software products for Mac are updated for Snow Leopard compatibility. If you have Snow Leopard, please request or download the update from us. August 06, 2009 - v.1.76 of our Mac Keylogger with improved support of third-party web browsers. March 2, 2009 - enjoy new freeware Mac utilities from us - Right Zoom and Start Menu for Mac. January 18, 2009 - our Mac keylogger 1.7 now can send the recorded activity to your iDisk! October 31, 2008 - Perfect Key Logger for Mac is available in Italian! August 18, 2008 - Perfect Keylogger for Mac 1.66 - now with improved email/FTP logic! March 17, 2008 - our Mac Keylogger 1.4 now can send screenshots by email. December 26, 2007 - Perfect Keylogger for Mac is fully published. Also Secure office is updated to Secure Office .NET. That's a very serious update, which changes the concept of the program entirely. This version was more than 1 year in development. Look here for details. December 23, 2007 - the first version of Perfect Keylogger for Mac OS X is ready! It supports keystroke logging and emailing. You can order it now! November 1, 2007 - a small update to BPK. Now you can set a custom FTP port number. October 11, 2007 - We have released a new undetectable build of BPK - that is what you asked for! The build is available on our CD - for registered users only. September, 8 - Perfect Key Logger 1.68 and Italian builds are available. August 26, 2007 - Perfect Keylogger 1.67 Polish is available. July 3, 2007 - Perfect Keylogger 1.67 is here! Now it can compress (ZIP) the log files before transferring! June 18, 2007 - Perfect Keylogger now captures AIM 6 chats! April 29, 2007 - Perfect Keylogger updated up to v.1.66. Windows Vista support, increased stability, extended chat logging. February 22, 2007 - Secure Office is here. We are glad to present our surveillance software, which is optimized for local networks. 21 January 2007 - Boss Invisible is here. The time to play with your boss or co-workers! 9 January 2007 - We've published Snipping Tool - a new freeware utility for instant free-shape screenshot capturing and e-mailing. Download. 15 November 2006 - Perfect Keylogger 1.65! New Unicode engine supports virtually all input languages. Extended chat logging support (ICQ, Miranda, Skype, Google Talk, MSN, AIM, AOL, Yahoo, QIP chat logging)! 30 October 2006 - we have published a new small email spy software! See Email Spy. 20 September 2006 - BPK 1.64 is out. Easier and more compact version! 20 April 2006 - The site has been updated. Fixed some grammar and lexical errors. 13 April 2006 - The site has been updated. Enjoy the music hits from our Western EU department! 06 April 2006 - The site has been updated. Added some new languages - Greek, Dutch, Japanese, Korean, Chinese (traditional and simplified). 30 March 2006 - The site has been updated. Added a notices about XP Logon Password Logger and Stealth Web Page Recorder free spy software tools. 26 October 2005 - BPK updated, fixed some bugs with a password capture. 19 November 2004 - Perfect Keylogger 1.62 with a new Slide Show feature is out! 15 November 2004 - Stealth Web Page Recorder has been updated. Now it captures the logins and the passwords from the web pages! 28 September 2004 - Perfect Keylogger 1.61 is out. New features: you can set a custom directory for the logs, screenhots can be automatically deleted after X days, some bugs fixed. 17 June 2004 - Perfect Keylogger 1.6. New exciting Download-and-Run feature, update notification. 12 June 2004 - Perfect Keylogger 1.5.3.7. Enhanced multiple user logging in Windows 2000/XP (automatic configuration of the NTFS permissions). 22 April 2004 - Perfect Keylogger 1.5.3.6 is ready. Now it captures all hidden passwords, works with AOL web interface, changes log file dates to be more stealth! 14 April 2004 - Personal Antispy v.1.2 is ready. Now you can use it for 10 days without any restrictions, quaratine feature added + more improvements. 14 April 2004 - Perfect Keylogger will be featured on TechTV's 'Call for Help' on 4/20/04. The show premieres at 3 p.m. Eastern and repeats the following day at 9 a.m. Eastern. P.S. We will publish a new version soon! 17 March 2004 - Published new translations for Perfect Keylogger and Instant Source. We are working at the update of BPK. 25 February 2004 - Perfect Keylogger 1.5.3.3 is published. 20 February 2004 - We offer a simple chat room for our visitors (now closed). 15 February 2004 - we've published Perfect Keylogger 1.5.3.1 - a small update, some bugs fixed, custom email message header feature added. 25 January 2004 - Perfect Keylogger 1.53 - new undetectable version! 24 January 2004 - Perfect Keylogger 1.52 is available for download. Fixed important bugs with FTP uploading and AIM logging. 14 January 2004 - Instant Source v.1.44. Auto-update feature added. 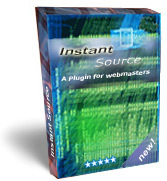 2 January 2004 - Instant Source v.1.43. Small changes in "Page Objects" window. 21 December 2003 - Perfect Keylogger 1.5 is published! Added AOL/ICQ/AIM/Yahoo chat logging. 16 December 2003 - Instant Source v.1.42 is available for download. 9 December 2003 - Perfect Keylogger 1.48 released. Small changes, many bugs fixed. 3 December 2003 - Instant Source 1.41 is available for download. What's new: "Replace"/"Replace All" feature added. 21 April 2003 - Perfect Keylogger v.1.47 with new Keyword Detection and Notification feature is available for download! 1 April 2003 - Perfect Keylogger v.1.46. Now invisible for firewall! 31 March 2003 - New versions of Instant Source and Smart Type Assistant - v.1.4! 19 March 2003 - Perfect Keylogger 1.45 is ready! Now it supports remote update / uninstall, new Smart Rename feature and more! 6 March 2003 - Version 1.44 of Perfect Keylogger was published. What's new: screenshot-on-click, online activity monitoring (option). 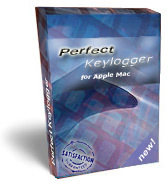 19 February 2003 - Perfect Keyloggger was updated (v. 1.43). Now it can make screenshots of the active window. 15 February 2003 - after one year of research Personal Antispy has been published! 12-28 January 2003 - international versions of Perfect Keylogger were published. 11 January 2003 - Perfect Keylogger 1.4 was published. What's new: Remote Installation Wizard. 27 December 2002 - Perfect Keylogger 1.3 is ready. New feature: logging of visited websites. 20 December 2002 - Perfect Keylogger 1.26 released. Enhancements in the support of multi-user operating systems and remote deployment. 30 November 2002 - Perfect Keylogger 1.25 is ready. Design changes, some bugs fixed. 26 November 2002 - Perfect Keylogger 1.2 released. It introduces two new features: visual surveillance and clipboard monitoring. 5 November 2002 - Perfect Keylogger 1.1 released. Now it's invisible in the Task Manager and supports sending the log by e-mail. 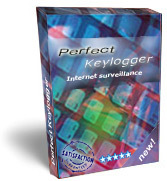 1 November 2002 - Available free edition of the Perfect Keylogger - Perfect Keylogger Lite. 22 October 2002 - Released Smart Type Assistant 1.3 with a new feature - clipboard spellchecking. 15 October 2002 - Instant Source became HTML editor! (v. 1.3). 10 October 2002 - Instant Source 1.2 is ready. Now it supports viewing of the external *.CSS and scripts files inside a browser. 27 September 2002 - intoduced new product - Perfect Keylogger. 13 September 2002 - next update - Smart Type Assistant v. 1.2 with useful Smart Diary feature. 3 September 2002 - Smart Type Assistant v. 1.1 was released. 21 August 2002 - Smart Type Assistant was released. 12 August 2002 - Instant Source was released.